A World On The Brink hit a nerve and polarized our audience. Right now, the world feels more dangerous, more threatening, and more unpredictable than ever. Old systems are being swept away and existing orders are challenged, not just from the outside, but from within. New powers are rising; old tribes are being reinvented; unknown and threatening actors are pushing themselves into prominence. And technology is moving at an unprecedented rate. Change is accelerating and the future feels completely uncertain, leaving many people frightened and angry, opening vulnerable minds to radicalism. Why is all this happening? How did we get to this point? And where could it all be going? As seen on PBS, A World On The Brink explores these most fundamental of questions featuring commentary and insight from 19 leaders from around the world drawn from disciplines as diverse as foreign policy, diplomacy, the military, psychology, finance, engineering, theology, and history. 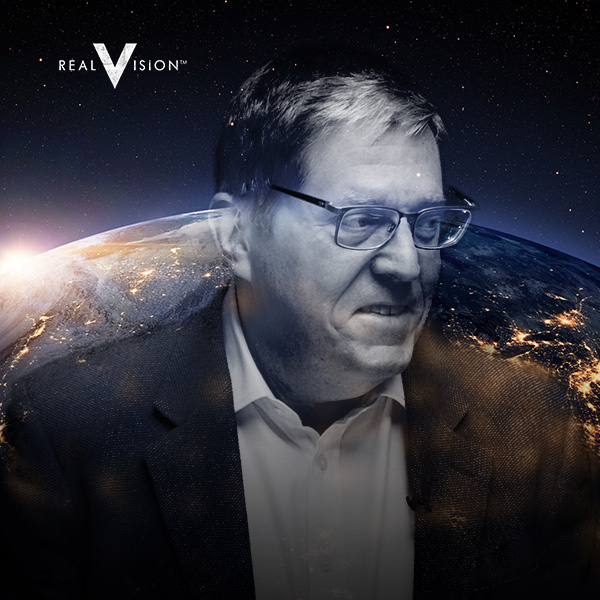 In this documentary by Real Vision Group and presented by intelligence and foreign policy expert Dee Smith, we embark on a journey around the globe, using the big-picture approach of geopolitics to gain a glimpse at what tomorrow might look like . . . and to understand how we might best navigate the future. Dee Smith pieces together a matrix of information, revealing insight into what is happening in such key areas as the Middle East, East Asia, Europe, the United States — and equally important, into the rising threats we face and the reasons they are escalating. From globalism to anti-globalism, from cyberwar to bio-threats, and from world order to social de-cohesion, A World on the Brink presents a view never before available of the crises of our times: what is really going on, why it is happening, and what we might do about it. Dee Smith is CEO of global private intelligence agency Strategic Insight Group, which he founded in 1995. He has worked in more than 90 countries and has served as advisor for over US$60 billion in investment transactions. He is a permanent member of the Council on Foreign Relations in New York; Vice Chairman of the Advisory Council of the Lozano Long Institute of Latin American Studies/Benson Library, University of Texas at Austin; a member of the Bretton Woods Committee in Washington, D.C.; Immediate Past President of the Board of the Dallas Committee on Foreign Relations. He has over 30 years of experience in multiple research and analytical disciplines and has directed thousands of intelligence projects in dozens of industries. Areas of work have ranged from investment and transactional intelligence to geopolitical analysis and risk forecasting, corporate market and competitor intelligence, corporate fraud investigations, litigation intelligence, and military intelligence and counter-terrorism.